Having been in the plastics industry for most of my career, you&apos;d think I would have a standard answer for the basic question "What is plastic?". (You know, to whip out at cocktail parties.) So imagine my surprise when I found myself stumbling around for an answer when someone actually asked me what plastics are the other day. 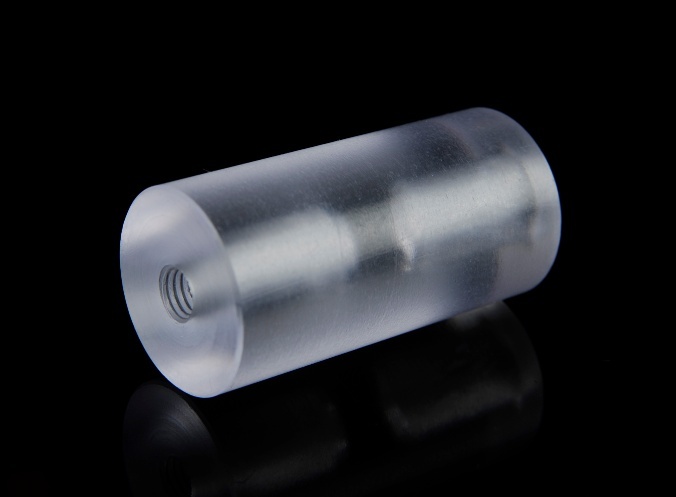 When I write about plastic for the blog, I focus on the specific materials that our customers find useful in their applications. So I know way more than the average Joe about plastics like G10/FR4, nylon, polypropylene, PEEK, TPU, Vespel®, and many more. I can rattle off a list of chemical resistant or high strength engineering plastics at a moment&apos;s notice. But what defines the limits of what we call "plastic"? That question was worth some research. Here are the top FAQ&apos;s you need to know in order to answer the question "What is plastic?" 1) What is the dictionary definition of the word "plastic"? What is the etymology of the word? The term "plastic" derives from the Greek "plastikos," meaning "capable of being shaped or molded." Basically, a plastic is any material that can be molded into shape. This expansive definition means that lots of different materials that do not necessarily resemble each other can be termed "plastics." 2) What is plastic made out of? Plastics are made out of a wide variety of organic and inorganic compounds. They are mostly synthetic and often made out of petrochemicals, although many plastics are partially natural. “Bioplastics” are made from renewable biomass resources including vegetable fats and oils, corn starch, or even bacteria. Many of these bioplastics are designed to biodegrade. Check out last week’s post on sustainable plastic technologies here. 3) Is plastic made from oil? Not all plastics are made from oil. In fact, in the US the majority of plastics are created from natural gas. Making plastics out of oil is actually more costly than making it from natural gas at this point due to fracking. Plastics only account for approximately 5% of total oil consumption. 3) What types of plastic are there? There are two types of plastics, thermoplastics and thermosetting polymers. Thermoplastics do not undergo a chemical change in their composition when heated. This allows thermoplastics to be melted and reshaped many times. Thermosetting polymers, on the other hand, do undergo a change and can therefore only be molded once. Both types of plastics can be usefully recycled. Thermoplastics can be melted and reshaped while thermosetting polymers can be ground up and used as fillers. 4) What’s the difference between a monomer and a polymer? Polymers are actually made up of monomers. In chemistry, the term “monomer” just refers to a small molecule. These molecules can be chained together to create polymers. This chemical reaction is called “polymerization”. Many people use the terms “polymer” and “plastic” interchangeably even though not all polymers are plastics. Amber and cellulose are also polymers. 5) What’s the difference between homopolymers and copolymers? Homopolymers are polymers that are made up of only one kind of monomer. Well-known examples include polystyrene and polyethylene. Copolymers are polymers that are made up of more than one kind of monomer. They are classified according to how the monomers are arranged in a chain. Copolymer classifications include alternating copolymers, periodic copolymers, and block copolymers. Popular copolymers include ABS and nylon. Some plastics come in both homo and copolymer form (such as Delrin/Acetal and polypropylene) so be careful when choosing your material to ensure you end up with the correct one. 6) What is plastic used for? Plastic has so many applications it’s hard to count! Check out this interesting slideshow from the Discovery Channel to get a basic idea. Plastics are used extensively in clothing, food packaging, electronics, machinery, cars, and so much more! Do you have any other specific questions about plastic? Please let us know in the comments section below. Looking for more information on plastics and plastic engineering? 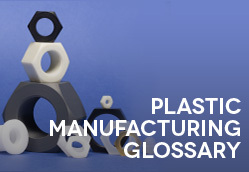 Download our free Glossary of Plastic Manufacturing Terms. « Can Plastic Manufacturing Be Environmentally Friendly? What’s the name of the person that wrote this article ? A former employee of ours wrote it. Do you have any questions we could help you with?